As a busy woman it can be hard to find time for yourself. I feel personally like I am trying to “pour from an empty cup.” Not just for moms, but women in general tend to do for everyone else before themselves. 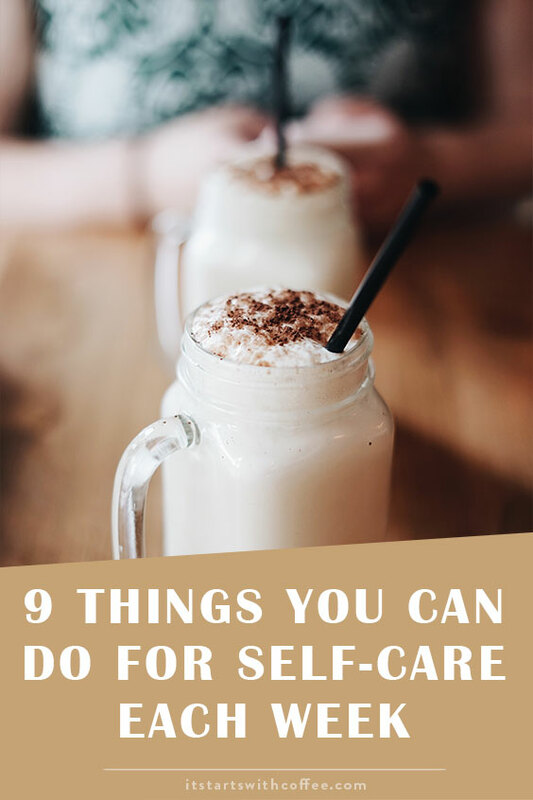 I want to share 9 things you can do for self-care each week to make sure you are taking care of you! Exercise: Exercise is really important. It took me a lot of years to truly appreciate a good workout and really see the benefit, not just physically but mentally. To me there is nothing better you can do for yourself. Mani/Pedi/Face masks Etc: I know this isn’t needed weekly, but even a face mask or painting your own toe nails will make you feel so amazing! The other day I was so stressed and during Liam’s nap I took a shower, washed and dried my hair, and did a face mask! It made me feel so good! Drink tons of water: This is probably the easiest thing you can do ALL week long. I can be really bad at times but I have discovered for me adding lemon or cucumber really helps and I look forward to drinking it! Enjoy some trashy TV: One of my personal favorite past times. I love a good trashy reality show when I need some downtime! Read: I love to read and I think the idea of escaping life into another world for a while can be really refreshing. See a movie: Admittedly I have not watched a ton of movies since Liam has been born. Usually I am just so tired at night I can’t finish one. We have been watching more movies together lately and I have watched a few on my own. Kind of like reading, escaping to a new world is nice. Try a new recipe: I love to bake so baking muffins has been a recent hobby of mine. It calms me to follow the directions and have a delicious product after. Organize your closet: Maybe I am weird but yes this is self-care to me! It’s always nice to find something you forgot you have or rearrange things to better suit your needs. It’s also a great time to get rid of things you don’t wear and donate! Treat yourself: Maybe it’s a delicious Pumpkin Spice latte (tis the season) or a donut, or maybe new shoes. Just do something little for yourself! 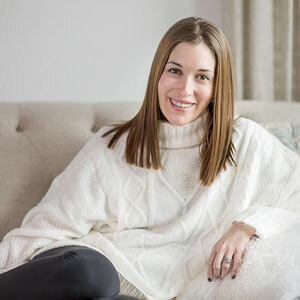 I think it’s beyond helpful to do a little something for yourself as often as possible because it really makes a difference in your overall mood. I would love to know what you do for self-care each week? I love that you’ve added trashy tv. I hear so many people saying that we should stop watching tv. Well, I am all for a bit of trash in the evening after a long day. I love it. Love this post! I’m all about self-care. I especially love treating myself 😉 I get a massage once a month and I love it. And just listening to podcasts really relaxes me. These are all great ideas! I find sitting down with a cup of tea, a good classic book, and a cat in my lap is the best self-care for me. I agree with you though, organizing your closet can be a good form of self-care. Having something organized and clean can do wonders for stress relief. These are all great ideas and self-care is so important. I need to start exercising more and drinking more water. I love all of these ideas. My husband tries to give me at least a few hours to myself each week, and it really helps me reset! I do a lot of the things on your list during my me-time. I like to work on hobbies too like painting and playing the piano. I love organizing projects for self care too. Great ideas! I need to do some self care more often. As a caregiver for more than 15 years my cup very often feels empty. One thing that I recommend is to go outside and be in nature. It comforts my soul. Self-care is definitely important. Reading is a big one for me because it’s just relaxing! Great idea! My weekly skin routine seriously makes all of the difference! Water is a must for me! It’s usually all I drink. Reading and writing is also on my list of self-care things to do. Wonderful suggestions! Self care is so important. I actually got a massage today and it was just what I needed. I would love to try this list so I’m going to save it for reference! While I do most of these already, I am overdue for a pedicure. I usually don’t like my toes touched, but this is one treat I always enjoy. Trashy TV and a face mask is definitely my definition of self-care! We’ve started drinking a LOT more water each day. It does wonders for our skin and our overall attitudes! I totally agree with this. No matter what is going on self-care is definitely necessary even if it small. Such great, simple things that could amount to a lot! I’ll try these this week. I love sitting down to relax and watching a movie. I do need another self-made spa day for myself though too! Thanks! I love organizing my closet 😂😂 but I also like to play volleyball as a way to remember who I am other than mommy. I like all your suggestions but I am a little bit lazy and love to watch television on my weekends. But i will definitely try your number 1 tip which is Exercise. Thanks. Funny you mentioned getting organized. The older my kids (not me) get the more I recognize my need for organization. I really do feel so much better and clear headed when I start my week off free and clear of a mess. I guess it also helps that I’ve got a PSL in hand while doing it! These look magical to me. I am STRUGGLING to get even one of these a week! I am endeavoring to do more of this self-care, so coming across your blog post is timely. I like most of your suggestions and need to be more consistent about some of them. One of my recent favorite things to do when I take a break from my work (remote job), is to listen to some of the best acts from various singing shows (America’s Got Talent, The Voice, etc.). I also love to sew and quilt, but haven’t had much time for those for awhile. THAT needs to change!